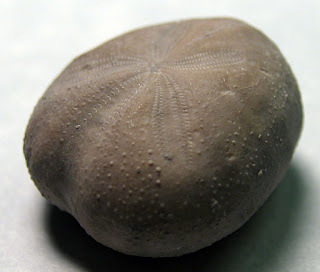 Echinoid fossil called Hemiaster whitei found in Tarrant County, Texas. This Cretaceous period (102 million years ago) creature is found in the Goodland formation. 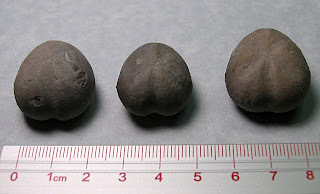 Thanks to Shamalama for the fossils and my cousin Kenny for cleaning these approximate 2 cm in diameter fossils up. 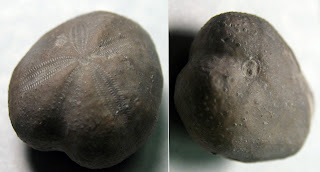 I need to look back and see if I took any pictures of what these looked like before cleaning. Click on pictures to see larger version.